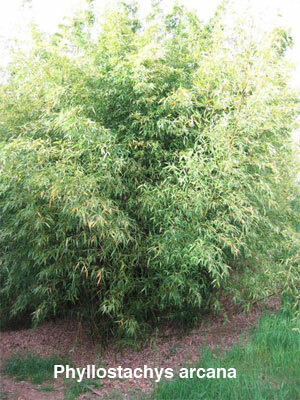 This group of bamboo reach heights that are suitable for screening purposes, hedges, small space specimens, foundation planting, and large pots. larger than noted. 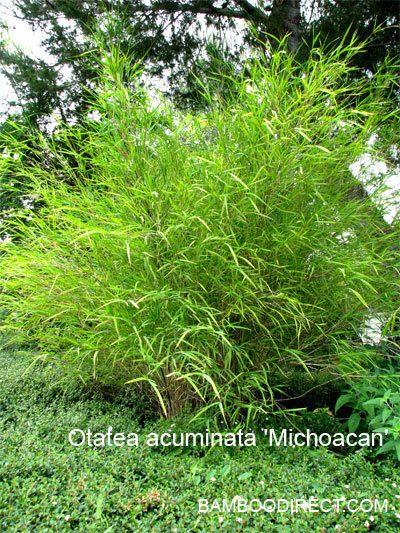 Use for native plantings in the Southeast to Indiana and Ohio. this spectacular beauty. Surprisingly hardy. 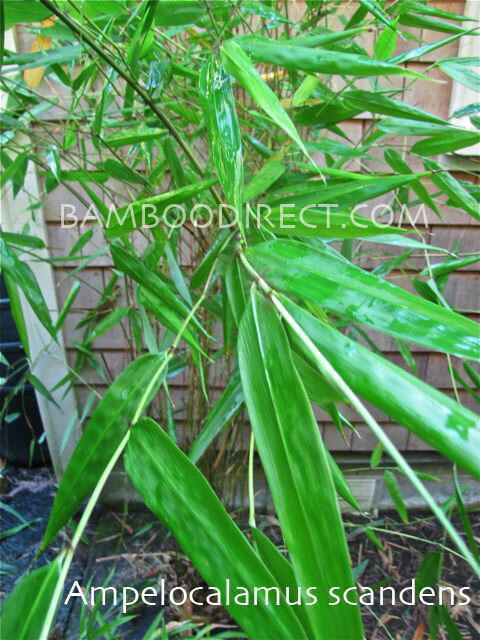 A medium height sub-tropical clumper with attractive form. Appears to tolerate coastal conditions well. 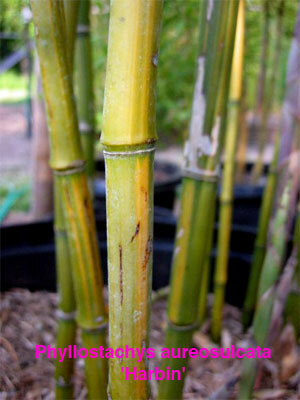 culms are tinged with pink. 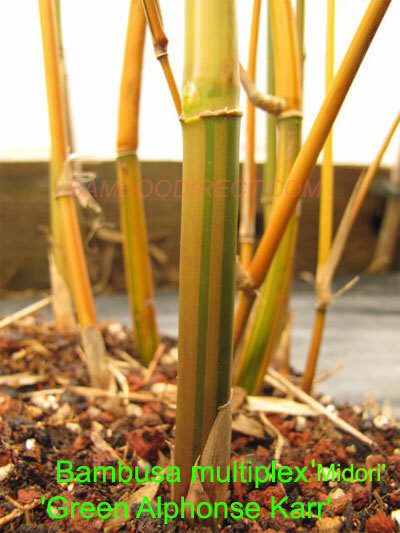 Reverse striping: green culms striped with yellow. 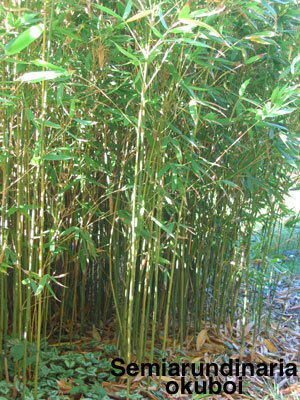 Green color is enhanced in a partial shade location. 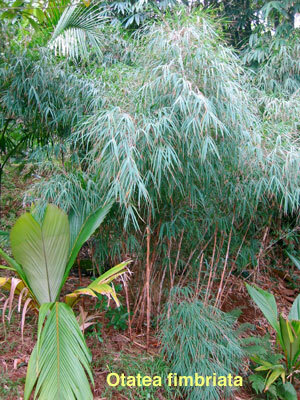 Miniature leaves make the variety of bamboo attractive. Good hedge. 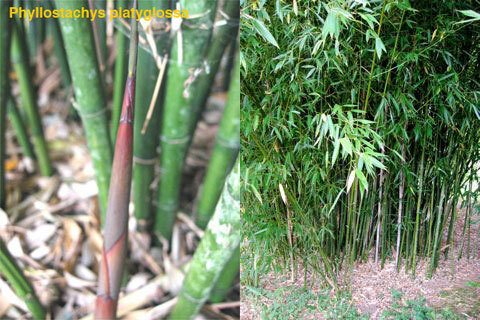 Culms are reddish and yellowish striped with green, otherwise the same as fernleaf. 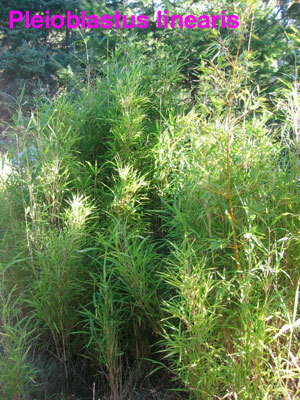 A smaller growing variety with big green leaves. 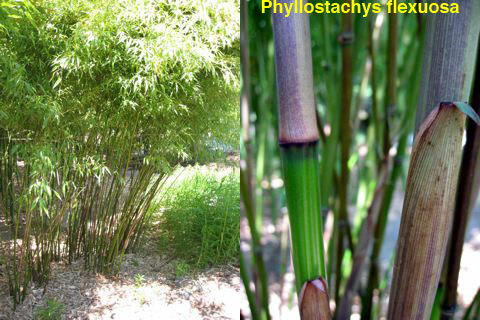 The culms are yellowish green. 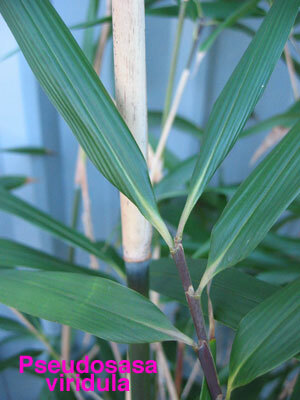 Most of the leaves are striped in white. 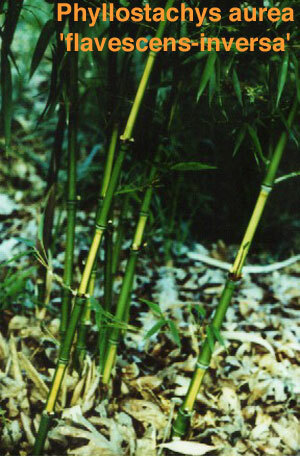 Many of the green culms have white stripes. for its swollen nodes which when mature look like a stack of balls. splitting and weaving mats to cooking rice for a unique flavor. the leafy branches giving a neat appearance as if groomed. 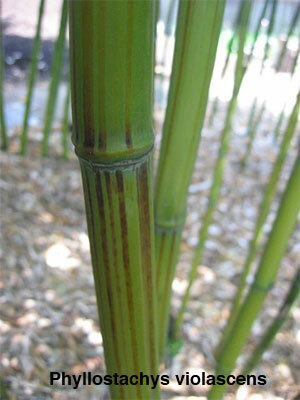 Showy faded canary yellow culms with occasional green stripes. Nice contrast. Fast grower. nodes. These are really big nodes! smaller sized clumper is needed in warm and sunny climates. in the Americas. It is thorny. 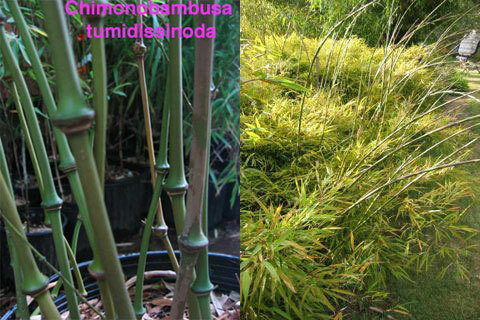 Its long necked rhizomes allow it to spread. 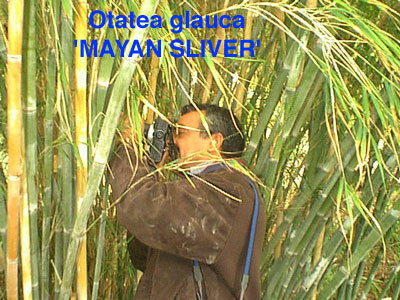 bank are covered with this species in Mexico. tips the leaves with pink. 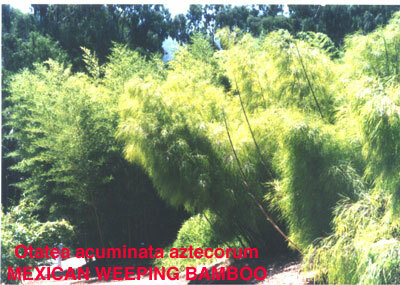 weeping form and light green color. 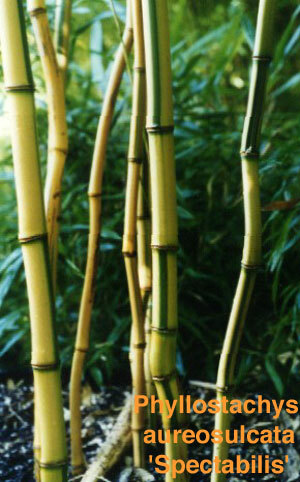 A different form with darker culms, more persistant culms sheath and a stiffer look to the leaves. 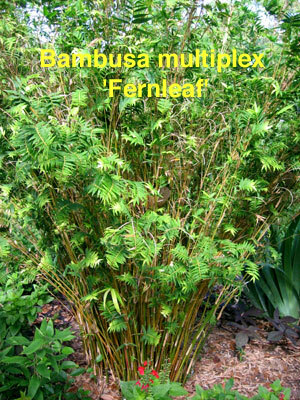 looks much more foliated than the typical form. 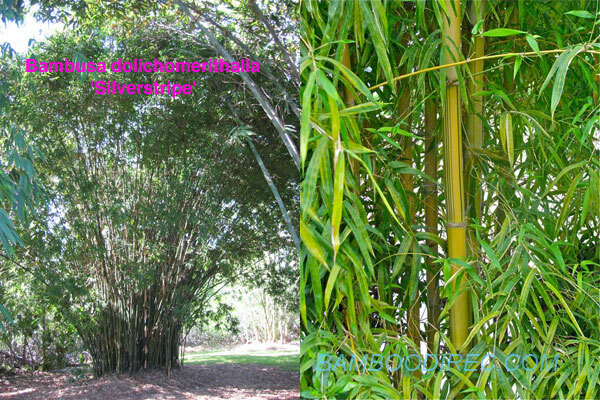 A medium sized bamboo known for its edible shoots and good weaving quality of the culms. 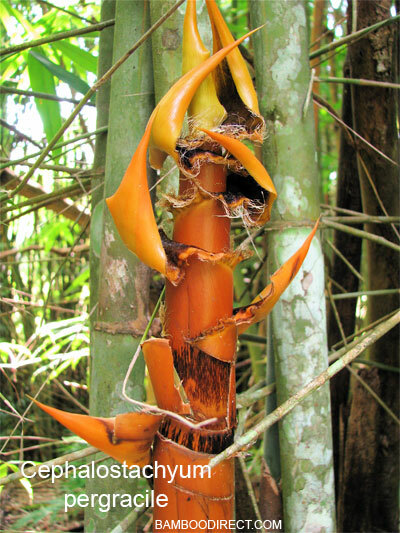 convoluted internodes at the base of most culms. Drought tolerant. 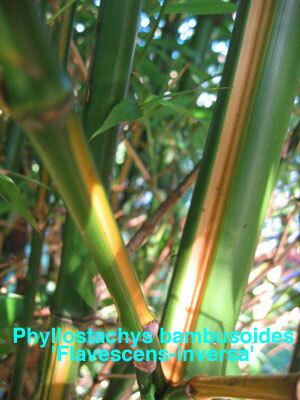 The same as GOLDEN BAMBOO but the culms are green with a yellow groove. The leaves are green. 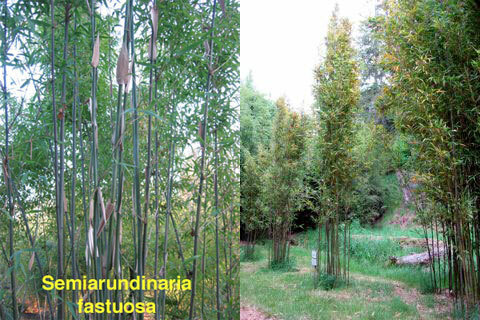 The culms are almost orange. Severely lacking in any green color. The green is reserved for the leaves. 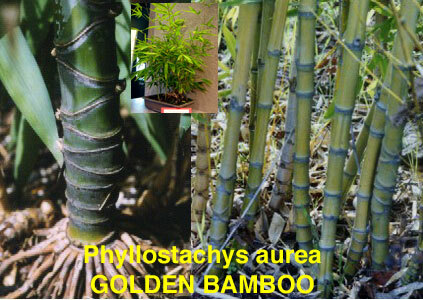 The same as GOLDEN BAMBOO but the culms turn yellow with a green sulcis. The leaves are green. 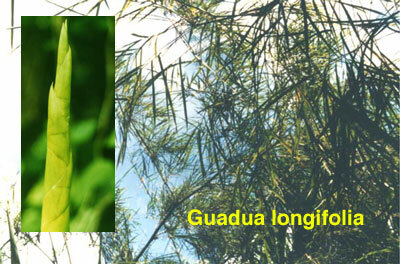 The culms are green with a yellow sulcis (groove). 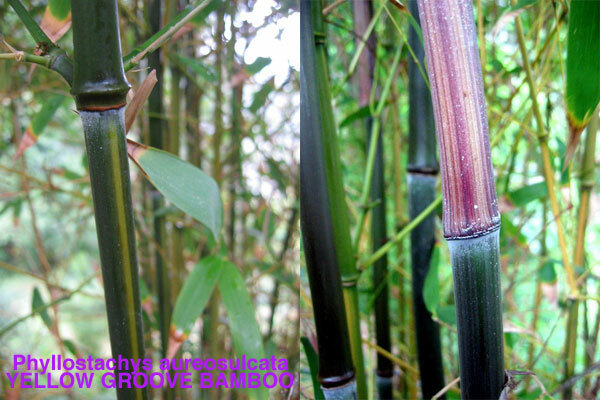 New shoots and culm sheaths can be purple. All yellow culm variety. 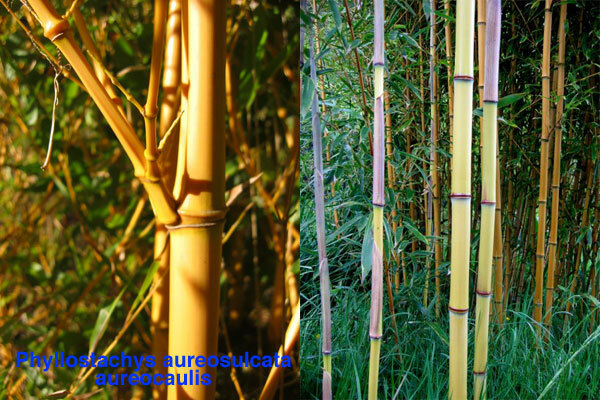 Sun makes the culms almost glow. Otherwise the same. 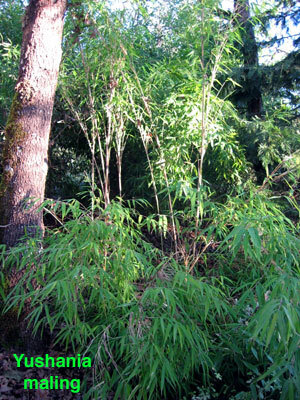 A cultivar with yellow culms and multiple thin vertical green stripes. 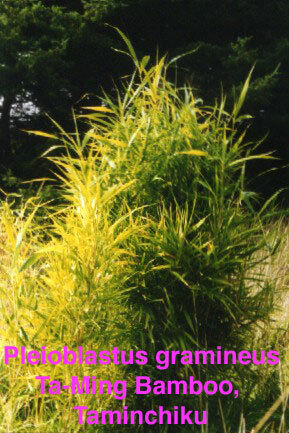 A cultivar with yellow culms and a few thin vertical green stripes. 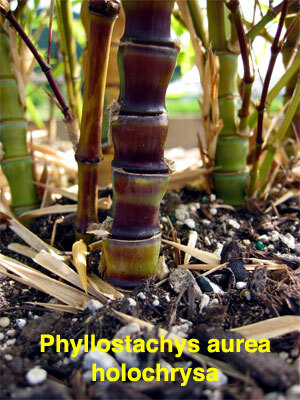 the shoots elongate! 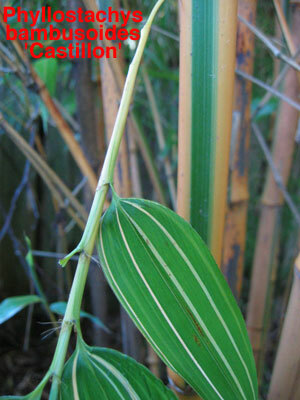 Many leaves have a few variegated stripes. Quite showy. 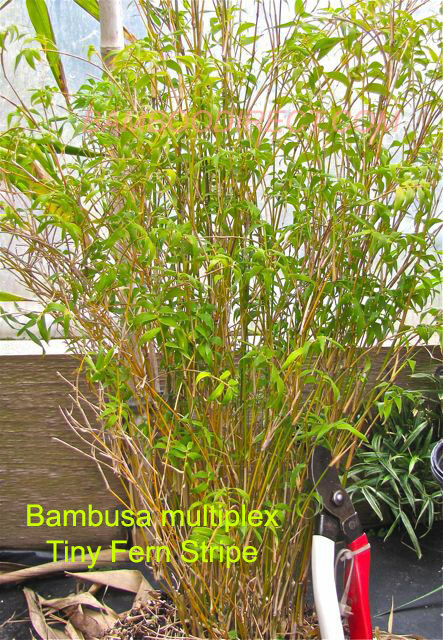 Yellow culms with the occasional thin green stripe adorn this variety of P. bambusoides. 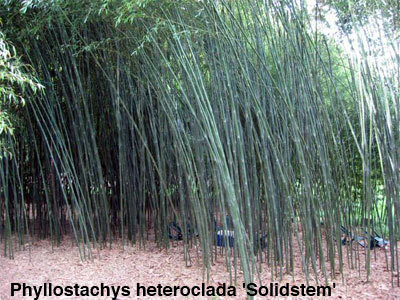 Reversed color pattern on the culms. 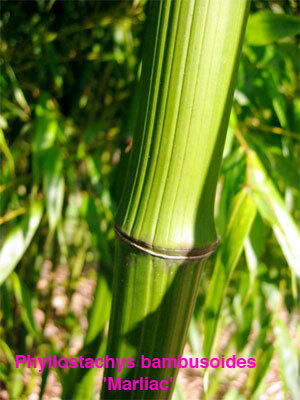 Green culms with a crisp yellow stripe in the groove. 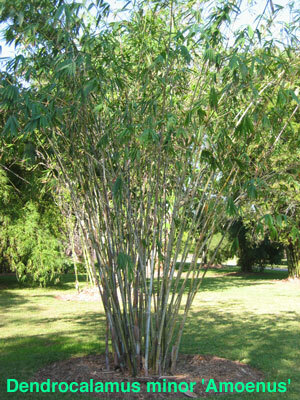 retains a golden color to leaves and canes. from the base of the culm sheath. 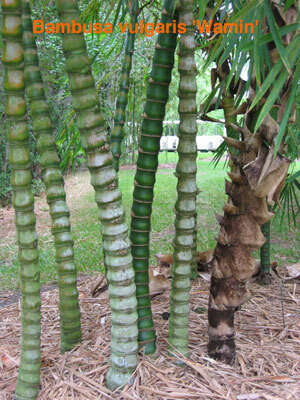 An unusual variety for its deeply grooved culm. 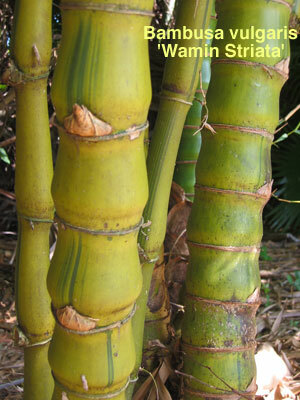 Not a tall grower like the green form but very useful. cream, purple and green outlines. The wood is of good quality for crafting. grower. 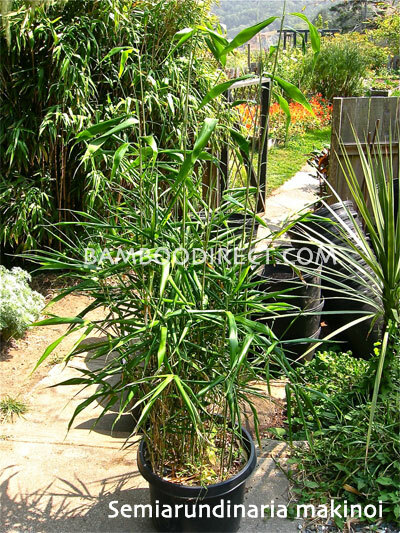 There are also green seedlings and a variegated form I have named 'Kimmei'. 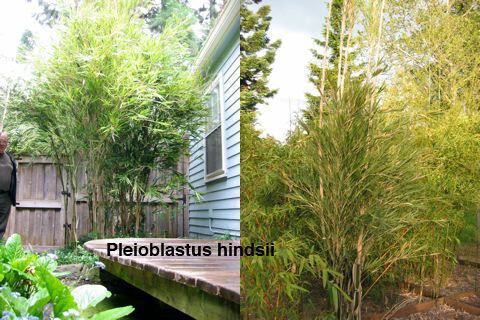 potted plant potential. A recent introduction. 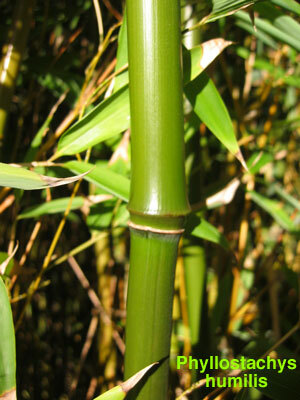 Looks similar to GOLDEN BAMBOO without the shortened internodes. The wood is of the best quality. of acrid taste. Flowered out 2016.
but turn to a solid black after a few years. One of our most popular sellers. 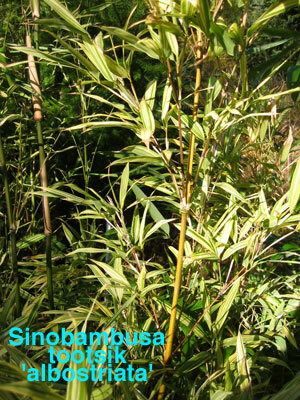 Prized for its shoots in China. Fast grower. 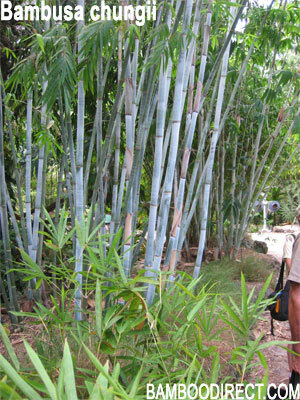 Long internodes. 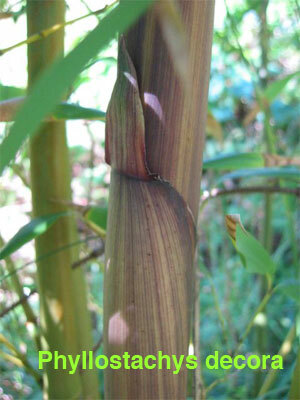 Culms are dark violet when new then become striated with purple streaks later. 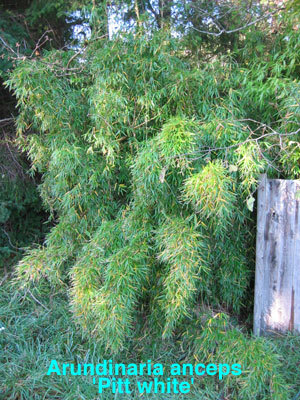 A large growing Pleiblastus used for umbrellas and poles in China. Shoots bitter. 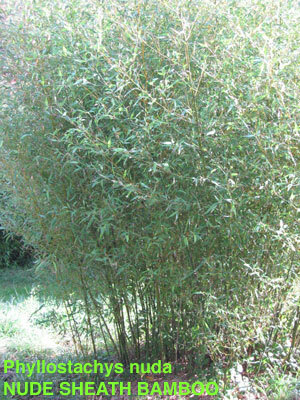 upright form for a bushy bamboo. 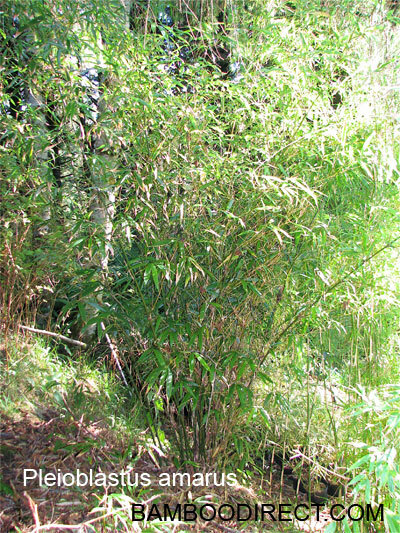 Thick leaves tolerate coastal conditions. well. 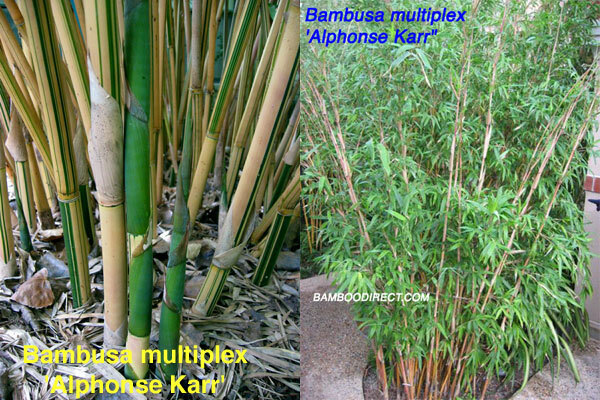 Introduced into many Asian botanic gardens for ornamental purposes. 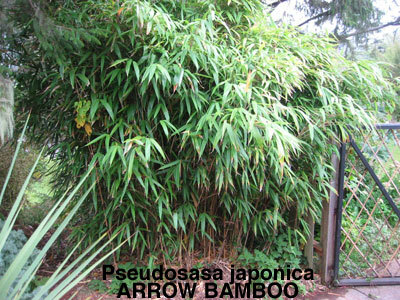 in windy areas. 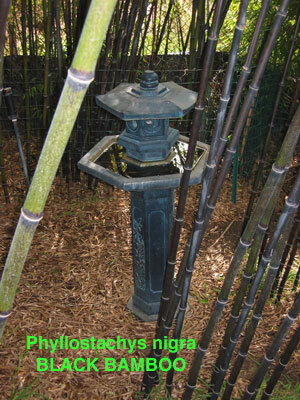 Native of Ryukyu Islands where it is used for fences and fish traps. 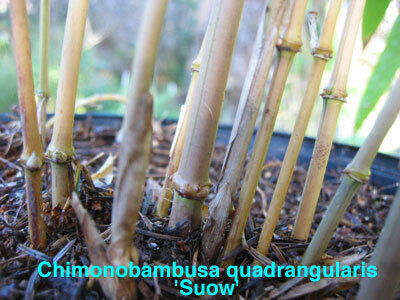 THE CULMS SWELL BY THE NODE LIKE A GREEN ONION. turn reddish brown with age. Poor wood quality for crafters. 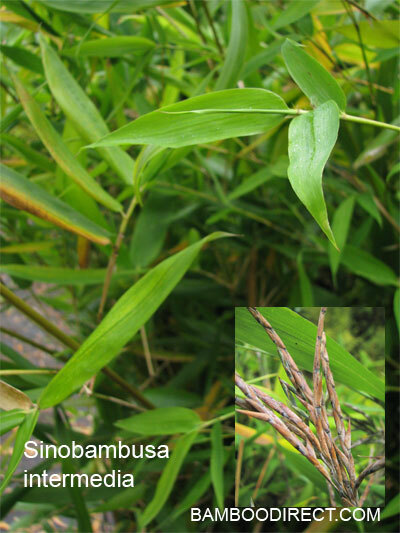 The edible shoots are uniquely flavored. 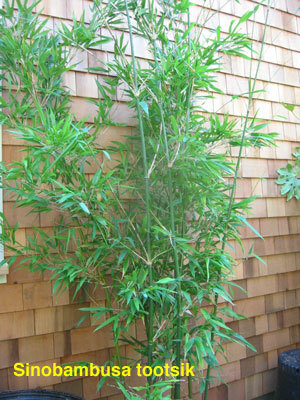 Good windbreak and sea coast bamboo. 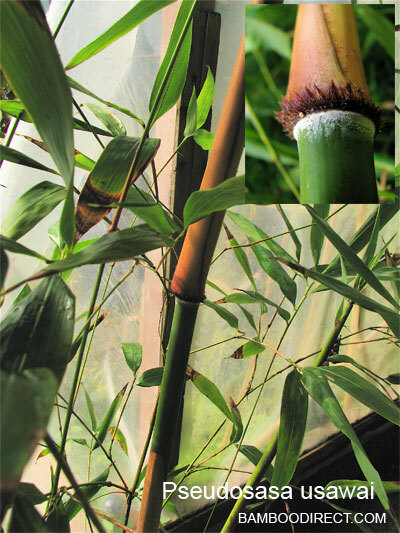 Culms remain green. 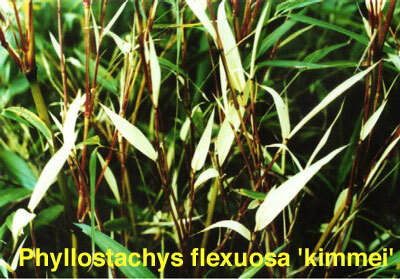 Looks the same as s. fastuosa. flat. 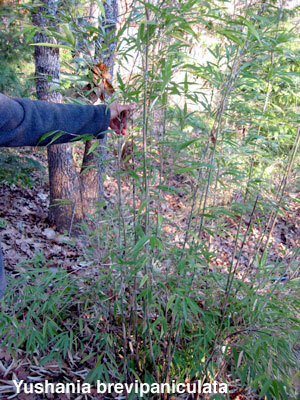 Culms turn rosy-burgandy with age. wide for their length. 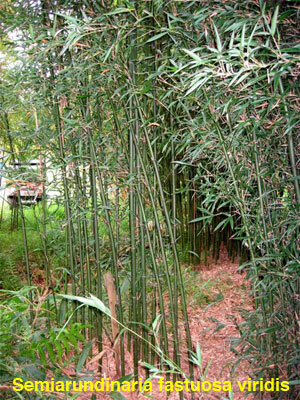 Good for use as a hedge and erosion control. feels rough to the touch. 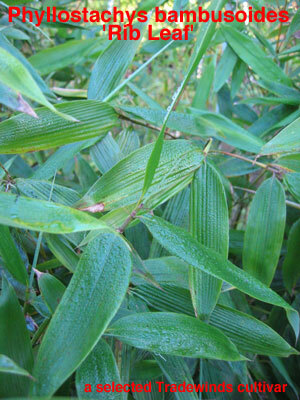 variegated leaves. A slow grower. 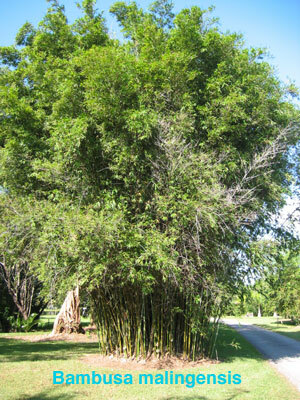 branches creating the 'weeping' look. 'Pitt White' is a form from England. Panda. 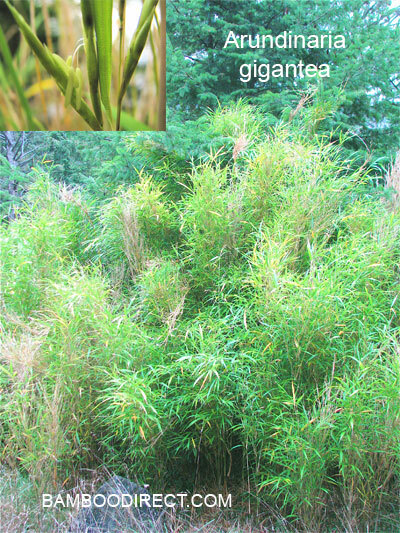 Reportedly capable of growing in various soil types and a wide range of climates. leaves creating a bolder look.